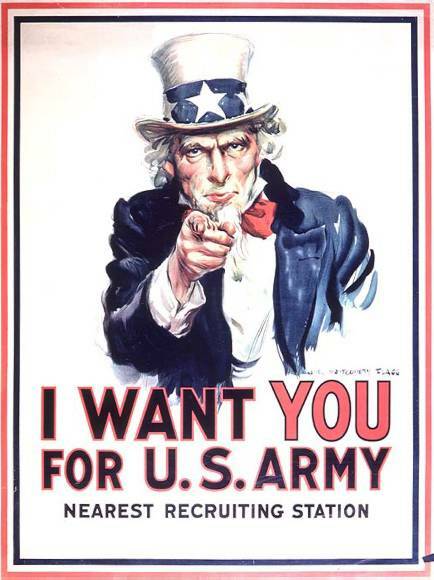 Uncle Sam says, "I Want You For U.S. Army"
CREDIT: Flagg, James Montgomery. “I Want You for U.S. Army nearest recruiting station,” 1917. Prints and Photographs Division, Library of Congress. Reproduction Number LC-USZC4-3859.